Zapier is a service that allows thousands of different of apps to talk to each other. You can create automatic workflows where an action in one app triggers an action in another app. 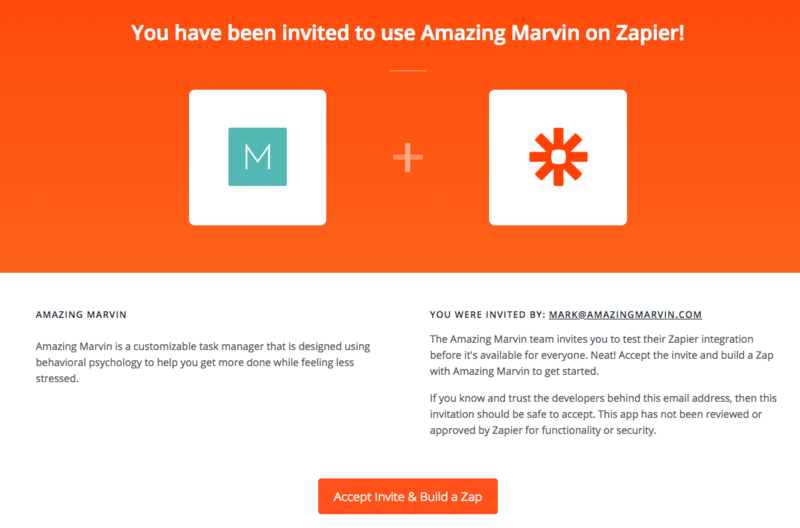 How does Marvin integrate with Zapier? 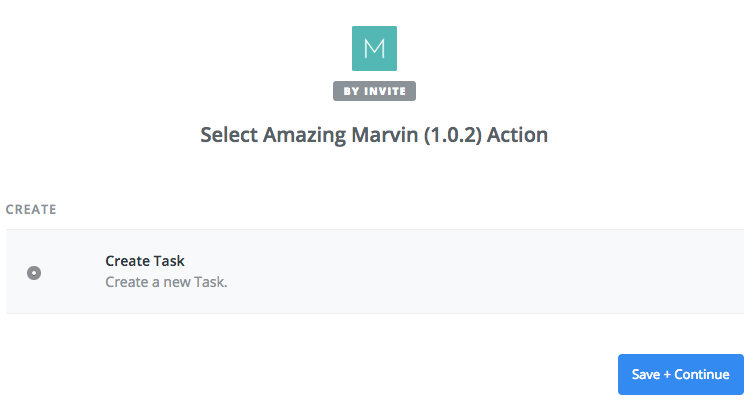 Right now Marvin has a simple Zapier integration that allows you to create tasks inside Marvin based on triggers in other apps. It is currently not possible to have triggers start inside Marvin (e.g. whenever you complete a project, it does XYZ in another app). But this is planned. 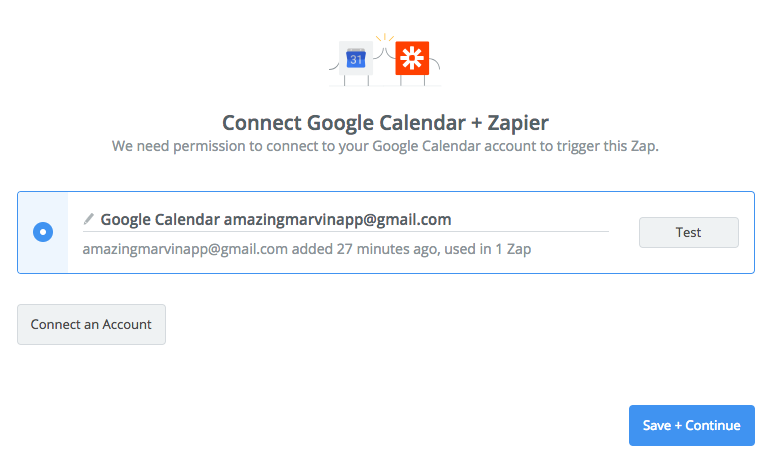 What other actions do you need in our Zapier integration? Need a specific action? Let us know! 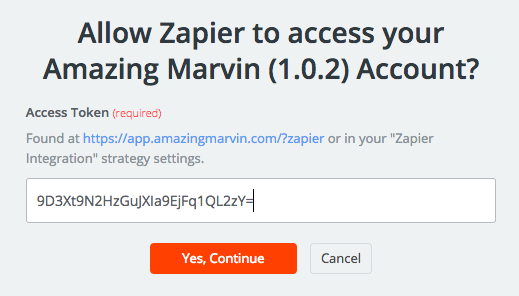 How can I connect Marvin with Zapier? Click "Connect an Account" to link up your Marvin account. 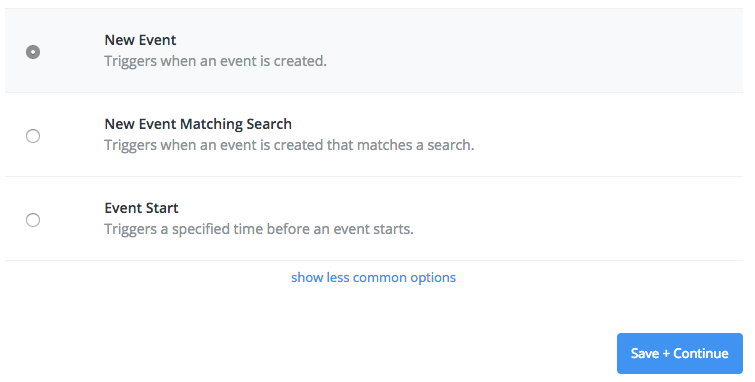 Choose whichever fields make sense for you, and be sure to choose the "Event Begins" rather than the "Event Begins (Pretty)" for the Schedule For field, then click Continue at the bottom. 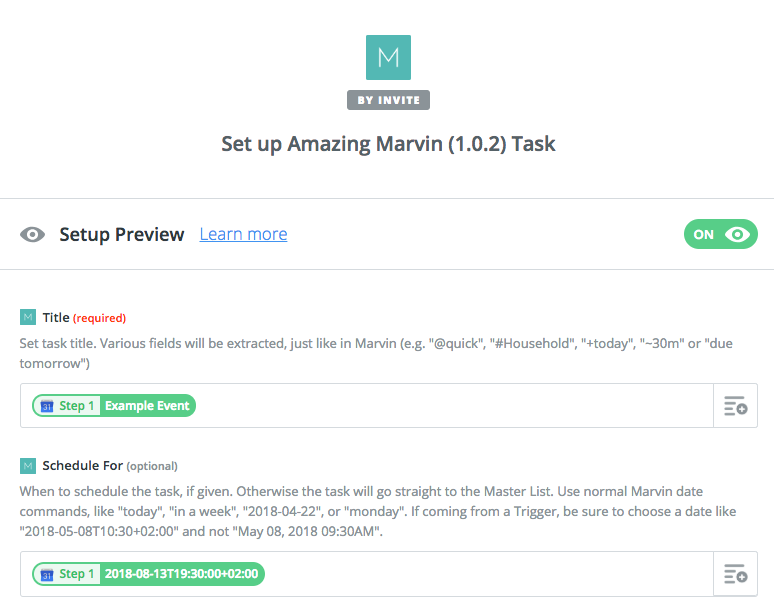 Send a test and make sure it works (you should have a new Task in Marvin! ), then click Finish. 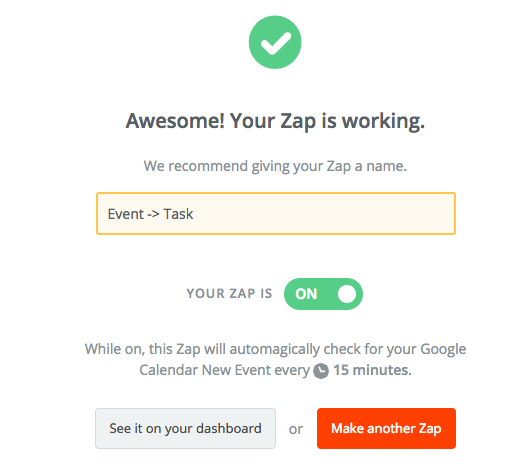 Name your Zap and click the switch to turn the Zap on. You're all set!